On our suggested itinerary, you&apos;ll find it&apos;s easy enough to ramp up the number of sporty, wine, shopping, spa and other activities depending on your specific gang&apos;s interests. For active travelers, there are great biking and hiking trails. 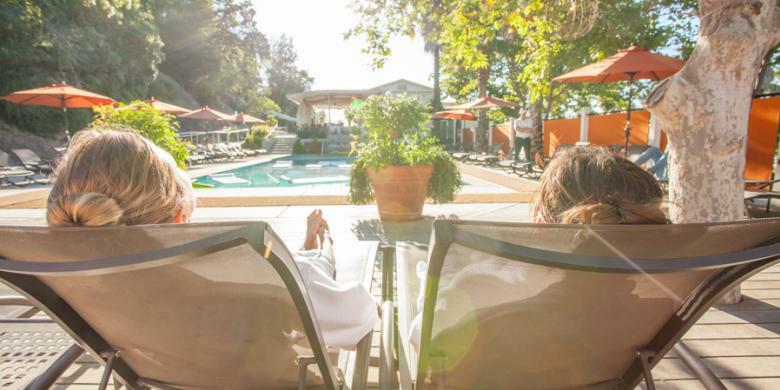 Anyone looking for spa treatments will be in heaven in Calistoga, with its legendary mud baths and springs. Shoppers will want to leave room in their luggage for olive oil soaps, artisanal foods, and one-of-a-kind gifts. 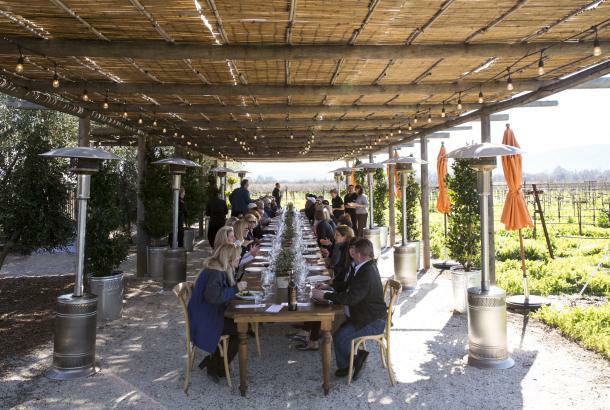 Oenophiles will enjoy the area&apos;s most famous product, and everyone will be happy to swap stories at day&apos;s end over a meal highlighting the bounty grown right here in Napa Valley. 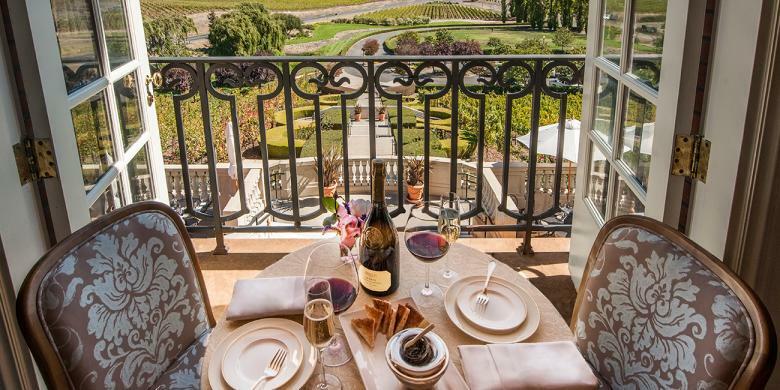 A getaway with your gals should start at the Napa Valley Welcome Center. Located along the Riverfront in downtown Napa, it&apos;s the perfect spot to grab a winery map and pick up some local artisan gifts for the family before heading up-valley. Make the most of your trip with tips from the local experts at the Welcome Center, who can tell you about everything from best happy hour spots to hidden shopping gems. 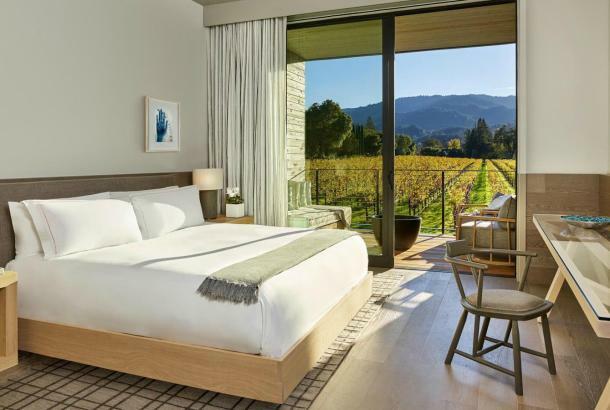 The Napa Valley has an impressive array of accommodations at every price point and in every style from rustic to sleek, but for a number of reasons Meadowood Napa Valley is an especially good choice for a girlfriends&apos; getaway. First, the resort has an array of activities and services right on the property. If someone wants to sit out an excursion to town, they can head to the spa, join a match on the croquet lawn, or explore the four miles of hiking trails. Second, the variety of accommodations assures there is something suited to whatever size group you are traveling with, whether you want your own lodge or simply a few standard rooms. Most have fireplaces and decks, perfect for long sessions of catching up with old friends. Spend the first day taking advantage of the resort&apos;s facilities. 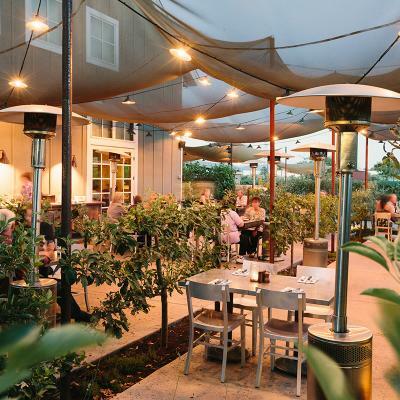 Once everyone has arrived, head into town for dinner at the Farmstead at Long Meadow Ranch, on Main Street in St. Helena. You may want to time your trip so that your "day 1" is the last Wednesday of the month. The restaurant&apos;s Champagne Campaign is a happy hour with champagne, oysters, and caviar enjoyed on the deck. Every day of the month, Executive Chef Stephen Barber creates excellent renditions of American dishes with grass-fed beef and lamb and farm-to-table produce. At Farmstead, that term is meant literally—they grow most of the ingredients right at Long Meadow Ranch. 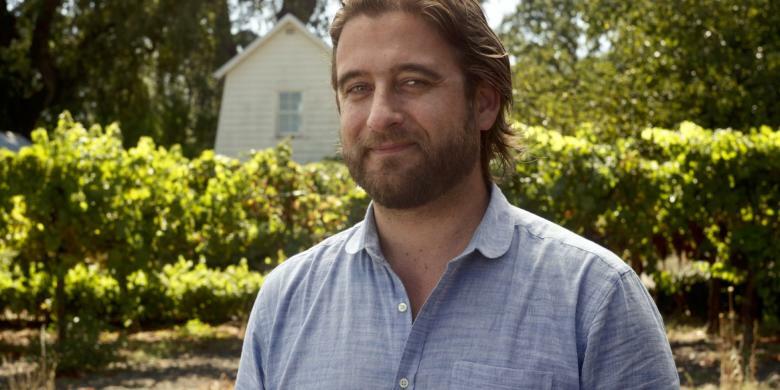 It’s less than a 20-minute drive from Meadowood resort to Calistoga, at the base of Mount St. Helena. The streets of town are lined with 19th-century buildings; it’s one of California’s oldest destinations. In 1862, a developer hoped to lure early wellness travelers to the area’s hot springs and make Calistoga the Saratoga Springs of California. More than 150 years, they continue to come. 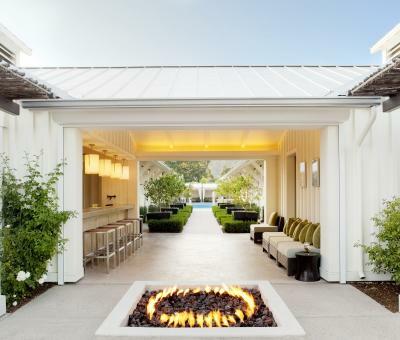 The Spa Solage at Solage Calistoga is one popular choice and open to day visitors. The must-do experiences are the famous mud baths, offered at Solage and most area spas. Expect to be covered in warm, mineral-rich mud and then left to relax until every ache has disappeared and your skin has been given a fresh glow. You&apos;ll follow it with a dip in the hot mineral springs, and then you may want to get a spa treatment—perhaps a facial, massage, or scrub. 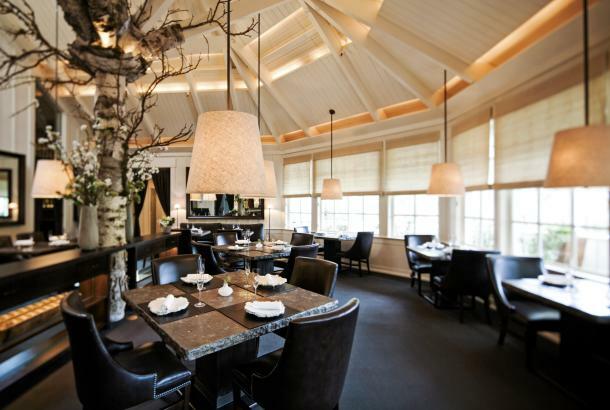 Enjoy dinner tonight at the three-Michelin-star Restaurant at Meadowood Napa Valley, which has been called, by Michelin, "the peak of wine-country chic." Chef Christopher Kostow&apos;s menu is all about flavorful, fresh, California cuisine dishes. There are somewhere around 400 wineries in the Napa Valley; you aren&apos;t going to be able to hit more than a few. Here are ones that may be best suited to your group. At well-known Robert Mondavi Winery (est. 1965), oenophiles can join a tour focused on the process of creating world-class wines, complete with tastings of several of them. 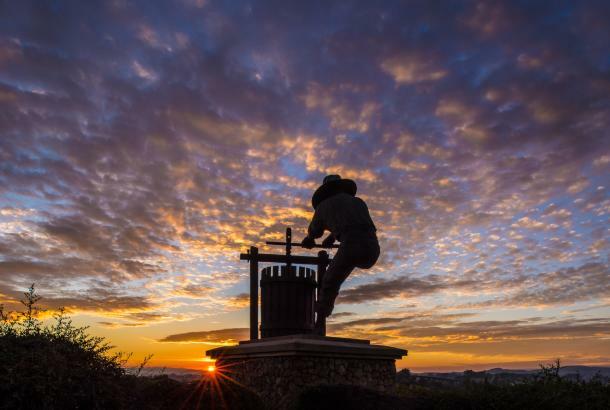 There are also art tours: Other wineries have since followed Mondavi&apos;s lead, but they were the first to build an excellent collection of prints, paintings, and sculpture. The winery itself is an important building by Cliff May, an architect who reshaped how Americans live with his California "dream homes." There is also a summer concert series, with headline acts performing in the early evening each Saturday. 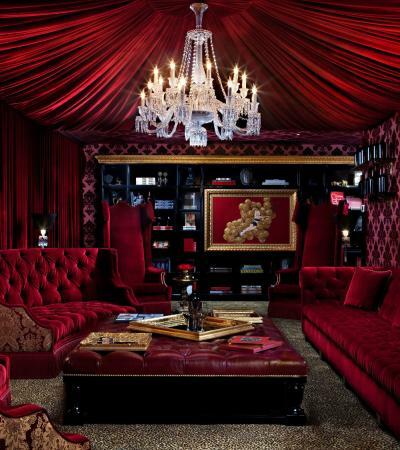 Raymond Vineyards, in St. Helena, is known for its off-beat whimsical atmosphere with a red velvet tent and unusual art installations. On a visit here you can blend your own signature wine in the tasting room and take home a case, complete with its own custom label. You could also choose to order a case of their new Honoris wine, a new blend that honors the first responders in the Napa Valley wild fires, with all proceeds going to wine country relief. In Oakville, at B Cellars, the emphasis is on wine pairings. After a introduction to the art of pairing wine and food, you can tour the chef&apos;s garden and select ingredients for your meal, tour the production facilities, and then sit down to meal with ingredients you just picked—paired, of course, with B Cellars wines. The winery also offers blending classes, and there&apos;s a croquet lawn as well. These are just the beginning of a long list of favorite wineries in the area. 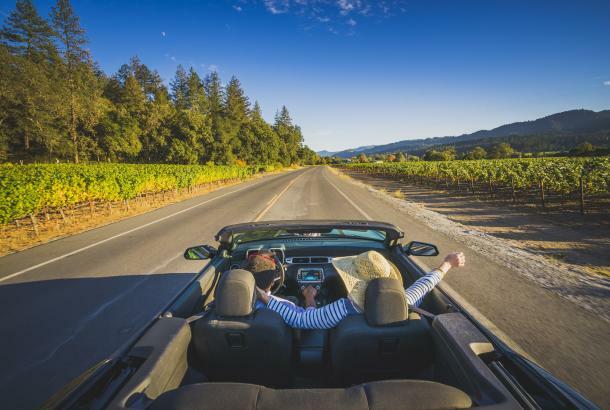 While Napa is best known for its wines, the area also offers many opportunities to get outside and enjoy Northern California&apos;s enviable climate. 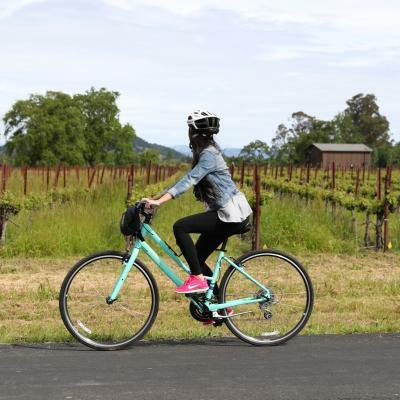 Eventually the Napa Valley Vine Trail will extend for 47 miles; 12.5 of them have already completed. 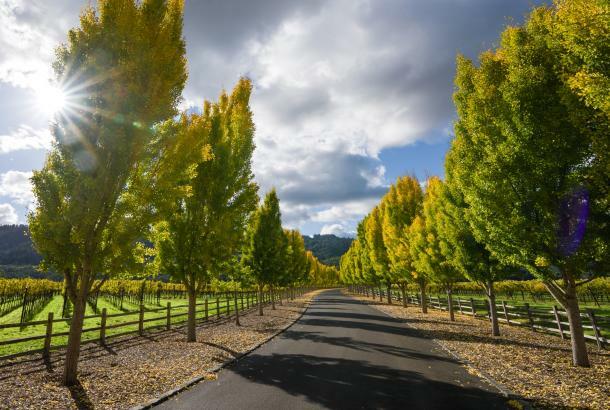 The paved and protect trail starts south of downtown Napa and ends at the northern end of Yountville—which has a number of excellent options for lunch, including Thomas Keller&apos;s casual Ad Hoc and R+D Kitchen, serving classic American dishes like rotisserie chicken and hamburgers. 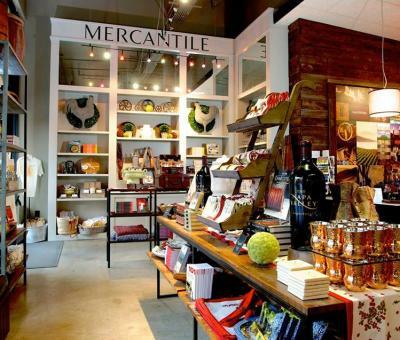 In the afternoon, stretch your legs while exploring some of Napa Valley’s best shopping. St. Helena’s Main Street has a number of unique stores. Popular favorites include Woodhouse Chocolate, where handmade chocolates incorporating chile, nutmeg, and other surprising flavors are presented like jeweled masterpieces; St. Helena Antiques, for unique vintage pieces; and the Napa Soap Company, for soaps and lotions incorporating California’s bounty with scents like blood orange, fig, and lavender. At the Napa Premium Outlets, the stores may be more familiar—Coach, Cole Hann, Michael Kors are some of the brands that have locations here—but you’re likely to find a coveted item at a bargain price. For your final evening in Napa, head to Blue Note Napa, one of the liveliest late-night options in Napa. Located in the historic Napa Valley Opera House, this intimate jazz club and restaurant features live music acts across a range of genres - bluegrass, gospel, jazz and others - by world renowned and local Bay Area artists. The club offers a full menu with market-driven cuisine, paired with an elegant wine and cocktail list.